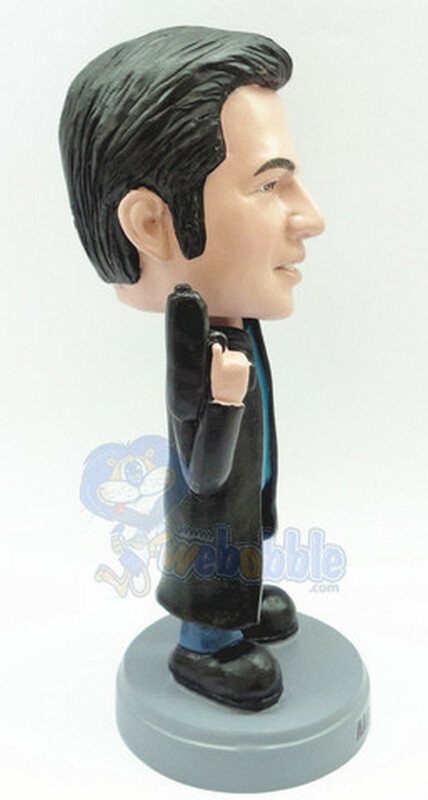 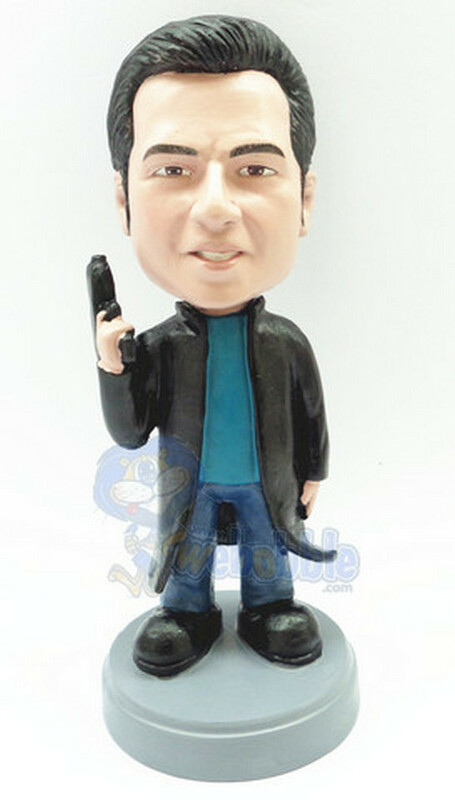 This custom bobble head is molded to represent a secret agent style design like our federal agencies undercover units. 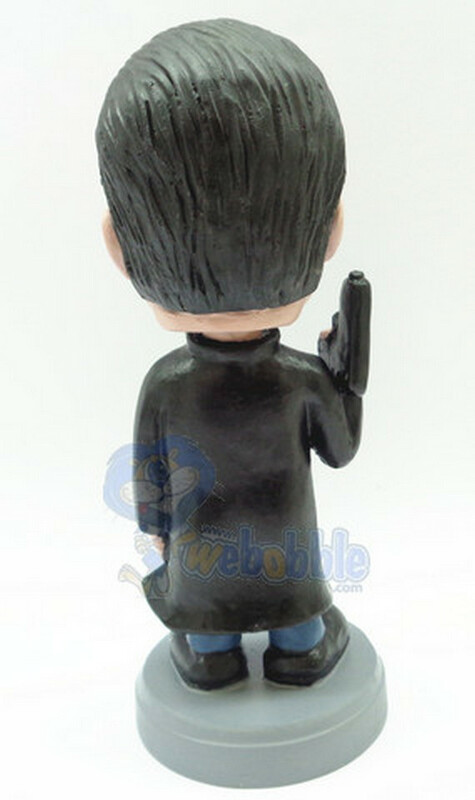 This bobble head is wearing a trench coat while holding a gun. 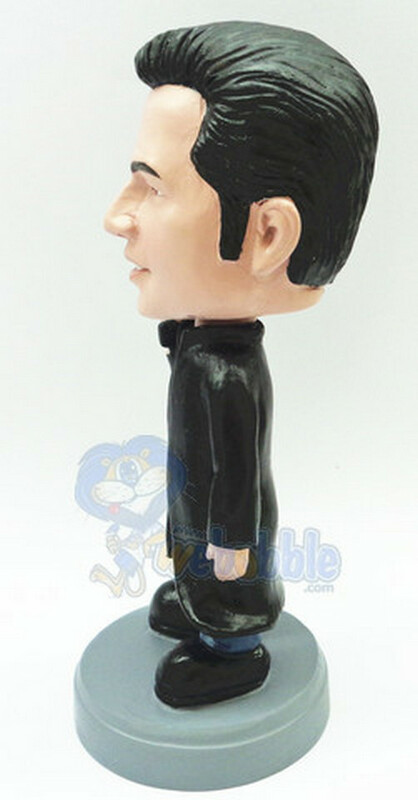 This custom bobble head makes a good gift and will be made to look like the photo you provide to us.